IT stars, start-up founders and software developer career advisors told their stories and shared career and tech advice at the Lesbians Who Tech Summit. More than 1,200 people converged on the Castro Theatre in San Francisco to hear 20-plus speakers, which included Megan Smith, U.S. CTO; Marc Benioff, Salesforce CEO; and tech leaders from Google, Twitter, Genentech, LinkedIn , 23andMe, Twilio, IBM, Microsoft and more. A highlight was a call to action for developers to create smart guns from Pia Carusone, former chief of staff to Congresswoman Gabby Giffords. Since Lesbians Who Tech was founded last year, the organization's members have held events in more than 23 cities worldwide, including the White House. Now it has more than 8,000 members and future projects include raising $50,000 for a scholarship fund for women coders. Most technology conferences focus on men, said LWT founder Leanne Pittsford when kicking off this event. During the Summit's opening video, a shot of several Caucasian men seated on an IT conference stage illustrated that point and got a big laugh from the audience. 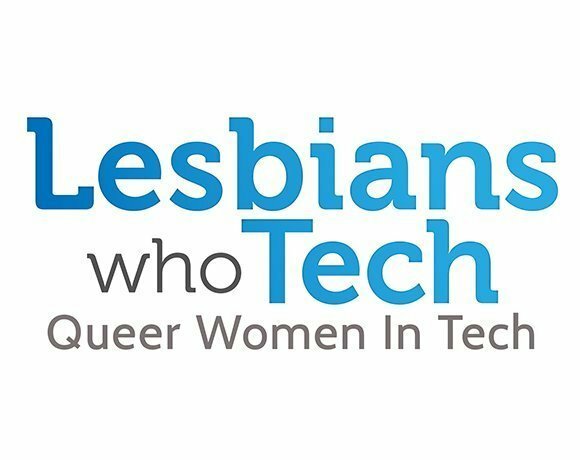 The LWT Summit, she said, is unique in its mission to help lesbians and minority women in the IT community to connect, gain visibility, learn about tech opportunities and provide career opportunities. The talk was the only straight thing about this conference, as speakers frankly described the obstacles they face and have overcome in their careers. The conversations were upbeat, however, because their enthusiasm for IT work was evident. That work ranges from building new IT applications and companies to using technology for social change. So, let's see what these candid IT pros had to say about software development, tech start-ups, new technologies, careers and more. Next, Smith describes her work with President Barack Obama, digital government and IT education. Talk about blatant discrimination towards other life styles, why not have a fund for all people to be inclusive, instead of just to women or most likely lesbians? Well, that certainly sounds... interesting. I'm not a lesbian or a minority, but I definitely feel out of place as a female working in IT sometimes. On my team of 14, I'm the only woman. It gets a bit lonely during those long days spent listening to all of the "guy conversations" going on around me, about Dark Souls 2 and tons of sports talk. Thank you for sharing your experiences, abuell. As a publication that focuses on Agile development, team building is a key topic. The SalesForce Women Surge initiative, the Google and Yahoo demographic studies and women developers' stories about their challenges show that building productive teams probably requires more than following an Agile guide book. To the top comment. The lgbt community have been discriminated against for decades. Even now, in 2015, we continue to fight discrimination. These kind of tech movements provide a service for those who have been unfairly looked over and sidelined in an industry where their skills are not as celebrated, like their male counterparts. Hmm.. Interesting. I've been in technology for 25 years and I NEVER thought any of the events, training, or conferences I were geared toward "men" - the are, however, geared toward learning and understanding technology which is typically a very heads-down, analytical activity - something the majority of my female friends are not very interested in. Sounds like a left wing agenda ploy to get attention in media. This is ridiculous. I'm sorry - you people need to focus on world hunger and more pertinent topics. Great to read about this event. For those concerned about inclusiveness of participants who don't identify as LGBTQ, this event invites allies to attend, learn and participate in the topic. This seems consistent with TechCrunch Disrupt, E3, Macworld, and other events that don't limit their audience to diehard fans or certain types of developers, they simply limit the topic of discussion to something attendees don't see enough of at other conferences. I think it's exciting to see the world of "tech" has gotten huge enough and location-independent enough that niche communities are popping up online and in live events like this. "The LWT Summit, she said, is unique in its mission to help lesbians and minority women in the IT community"
Why such a strange statement? Why only minority woman? Not all woman? Or not all minorities? What about aboriginal people? I have never had any issues working with any other programmers. I only look at their skill set. If they lack the skills I may take issue at first but am always willing to train or educate. I have worked with many women over the years and my last boss was a woman. No issues at all. It amazing that some people have this unrealistic fears of working with another person.